The White Dog Blog: Happy Birthday to You Know Who You Are! Happy Birthday to You Know Who You Are! Duncan, Happy Birthday to your Aunt Jackie. Oh wows!! Happy Happy Happy Burthday to your Aunt Jackie!!! Happy Birthday to your Aunt Jackie. We hope she has a wonderful day! Happy Birthday to your Auntie Jackie, Duncan! Happy birthday to your Auntie Jackie! 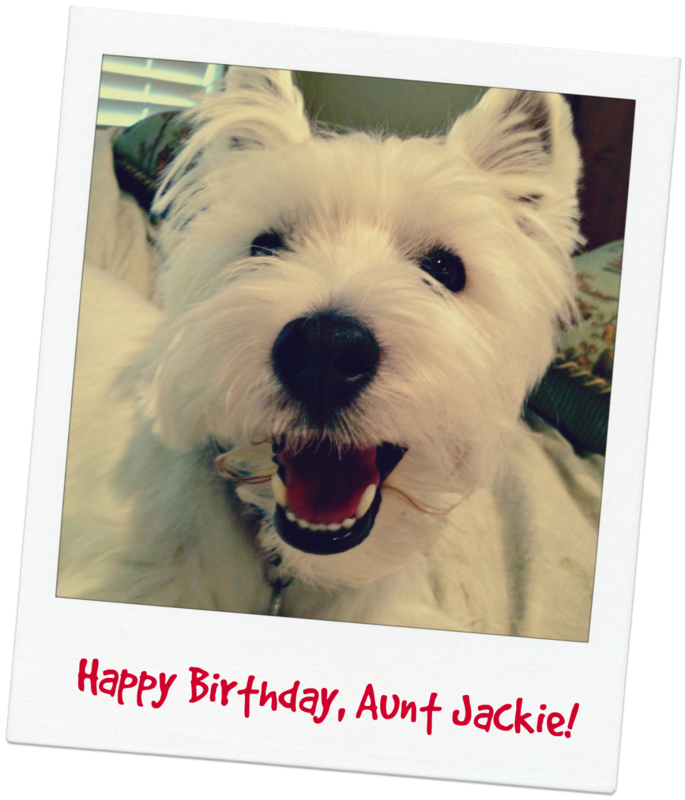 Happy woofy birthday to Aunt Jackie! What a beatiful beaming smile you have, Duncan! "Dog Overboard" or "We've got a swimmer!" Pet Safety Week: There's and App for that!